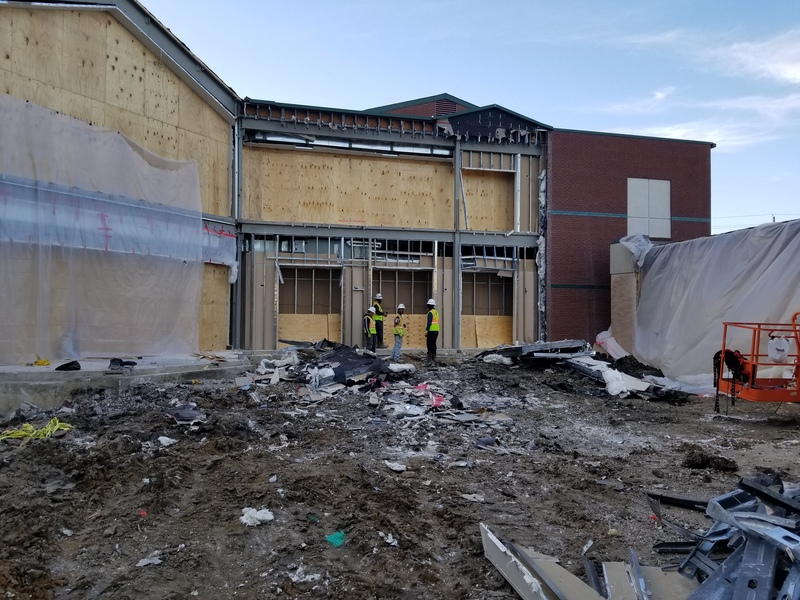 After 3 months of demolition, excavation and site preparation, the actual new construction of our new Children’s and Hospitality Additions will begin next week. During December, the concrete slabs for both facilities will be poured followed by the assembly of the structural steel which will support both facilities. Please be cautious as you enter and exit the facilities, especially during weekdays as there will be many trucks entering and exiting our property. 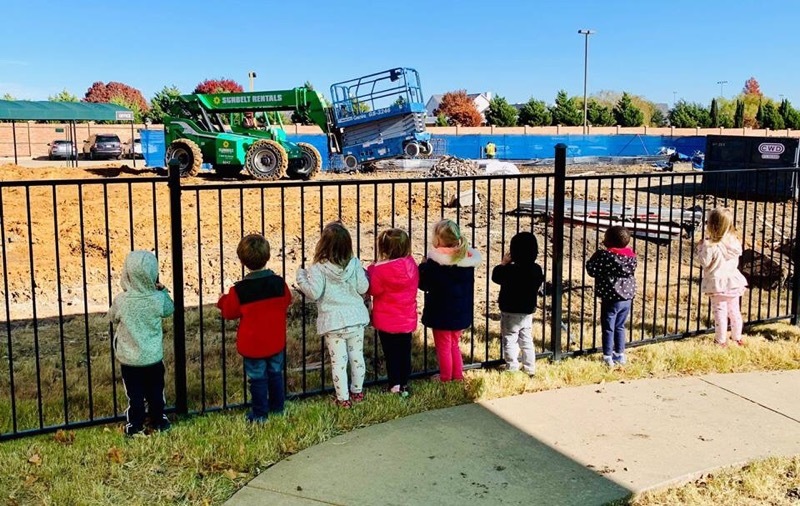 One of the joys of this project has been to see the excitement of the children who have been given a chance to watch the demolition and site preparation process. We can’t wait to see their faces the first time they enter the new facility! Last week, we collected hundreds of prayer capsules from our congregation. Our members had an opportunity to write their prayers, place them in a capsule and present them during Sunday worship. These prayer capsules will be embedded in the concrete slab to be poured in our New Children’s Building. 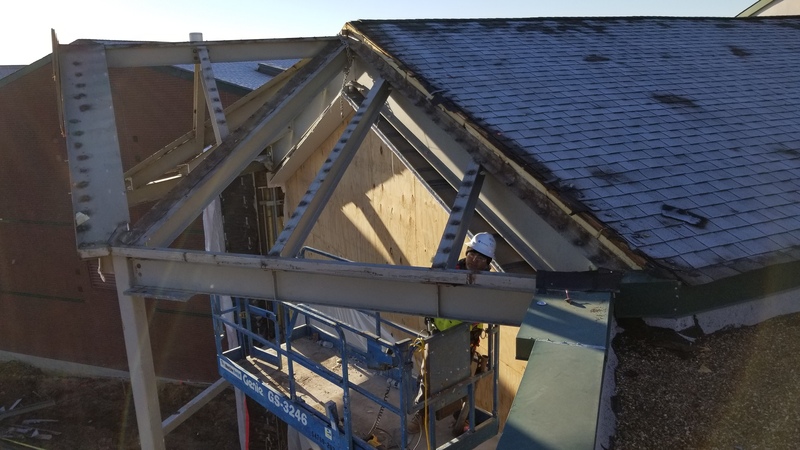 As you have probably noticed, this is a very complex project as our new facilities must connect to three different buildings built in 3 different decades. Our Contractor Team has taken great care to construct temporary walls throughout the facility to protect our members and guests from construction activities. 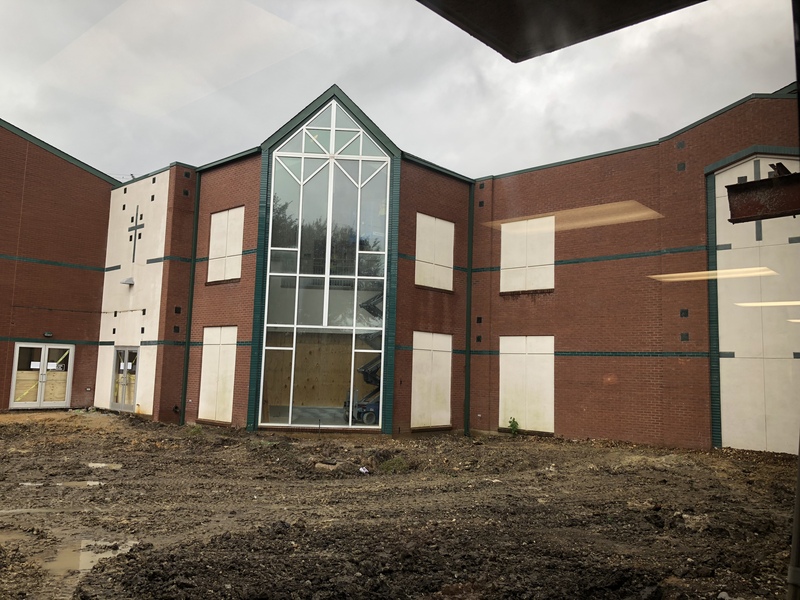 These temporary walls will remain in place throughout the construction process, allowing our ministries to function with as little interruption as possible. The most difficult location is the tie-in between our existing labyrinth area and terrazzo hallway which will open up into our new atrium. Take a look at the pictures below to get an idea about what is going on behind the temporary walls behind Mission Central. We will continue to provide regular updates about the project. You can access these updates by clicking on “Building Project Updates” from the home page or Building Projects/Building Project Updates from the menu on any page of our website. If you have any questions, please send an email to buildingquestions@fumcallen.org .